Making best use of slurry, as well as managing soil pH through liming and soil conditioning programmes are also essential. John Newbold, Head of Technical, Animal Nutrition, Volac; spoke on getting very young calves off to the best start. This requires “a high feeding rate of a milk replacer that provides the complex mix of proteins found naturally in milk in very early lactation”. 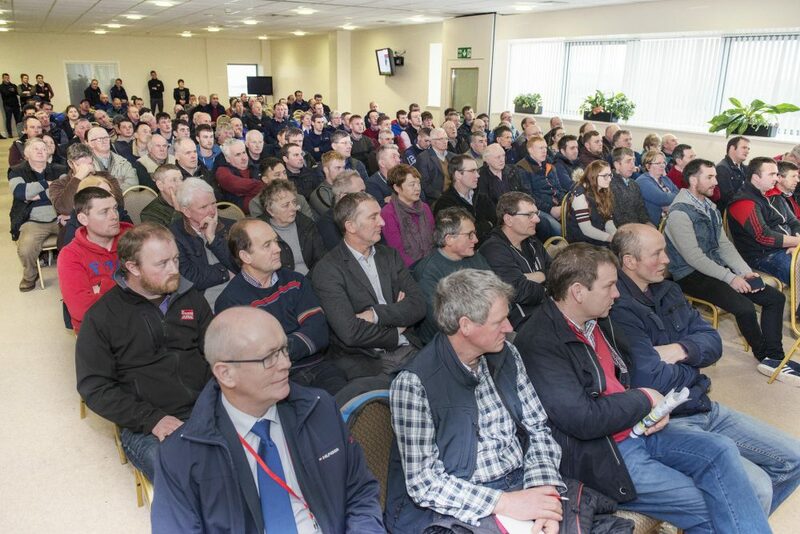 Offering a chopped quality forage with concentrate boost rumen development Nollaig noted that by creating opportunities for improvement on the farm and giving oneself or staff responsibility here leads to higher performance. Nollaig Heffernan, an independent Management Consultant spoke specifically on how to assess the need for employment on your farm coming up to the busy calving season. She make one key point that “first you need to be a good employer to attract good employees” and that every sector struggles to find good employees and that by only hiring people with a full skill set then you are really restricting your ability to attract labour. Nollaig noted that by creating opportunities for improvement on the farm and giving oneself or staff responsibility here leads to higher performance. She closed the very informative talk by explaining the benefits of good communication and planning defined roles and tasks when employing labour. She also gave delegates present some real insights into planning and time management at a “self” level with the use of wall planners and priority setting tools. Nollaig had two key questions that every farmer should be asking right now leading up to Calving 2018. What might I need to do/do differently to get the best out of my employee? What can I do to make Spring Calving 2018 successful? Dr Karina Pierce Associate Professor of Dairy Production in UCD gave some significant learnings in her presentation “Managing a High Producing Spring Calving Dairy Herd – The Learning from 2017”. Outlining the UCD Systems Herd key targets of 625kg milk solids per cow and on a simple grass plus 1.5tn concentrate /cow/year without a diet feeder she stressed “the cornerstone for this system is still grazed grass” with grassland management throughout the grazing season crucial to this. Karina closed her presentation by pointing out UCD’s “moderate input” herds key targets include. This concluded a very informative meeting for attending delegates.